Earlier this month, Instagram revealed that they would soon be introducing a photo album feature, and most people (myself included) groaned at the idea of the platform finding yet another way to make itself more structurally similar to Facebook. Well, now the feature is active, and thankfully it's not quite as Facebook-esque as it first appeared to be. Instead, it follows the 'carousel' format that Instagram have been using for their advertising for some time. When you want to upload a new photo, there will be a button on the page saying 'select multiple', which once pressed allows you to choose up to 10 different photos and videos. You can't edit them each individually, and any filters you put on will apply to all of them, as does the location tagging. When viewed other people can just scroll through them, they won't do so automatically, an icon indicates when a post is an album. You can either post just photos, just videos or mix it up between the two, and in the edit screen you can rearrange them if you aren't happy with the original order. 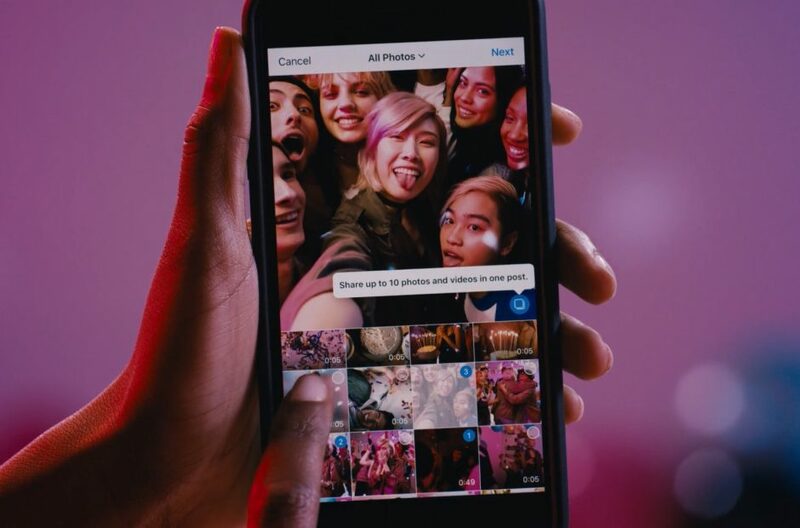 Instagram have been keen to assert that this feature has lots of applications beyond, say, posting a cluster of birthday party snaps, as depicted in the predictably saccharine ad they've rolled out to demonstrate the feature. One could argue that you could do the same basic thing with Stories, with the only real difference being that those are ephemeral, whilst these posts stick around for as long as you want them to, and are tethered to your profile rather than any kind of separate browsing function. I would argue that this feature actually allows for more creativity than Stories - it doesn't require you to stitch the photos and videos together with some kind of even-flowing narrative. This is the kind of addition that allows Instagram to offer a little bit more, without pushing it further away from being, well, Instagram. The idea of Facebook-style albums was off-putting for this very reason, but having carousels of photos and videos is a concept which should hold a lot of appeal for photographers, and that used to be the whole framework of the platform's appeal.